One would expect that smaller companies are somewhat reticent in providing a decent advertising brief but Sherpa’s Elsa Barnard says that one will be amazed that corporate clients can also be extremely tardy in this regard. “There are various formats one can use to brief an Agency but concentrate on getting the basics right,” says Elsa. Where are they? Where do they hang out? Functionally, why should they buy your product (over others)? Emotionally, what is it about your product that appeals to them? What problem are they trying to solve for their customers? What are the three most important aspects of the product that need to be conveyed? If you were only allowed to choose one, what would that be? If not already known, what should the tone and personality be? Friendly? Cool? Professional? Cheeky? Serious? Very important, what is your budget and when does the campaign need to be market-ready by? Yes, the thorny question of the budget is important. Elsa says that even if you have a small budget, be open about it – it’s what you are prepared to invest in a project. The last thing Agency wants you to do is spend insufficient money that makes no difference. 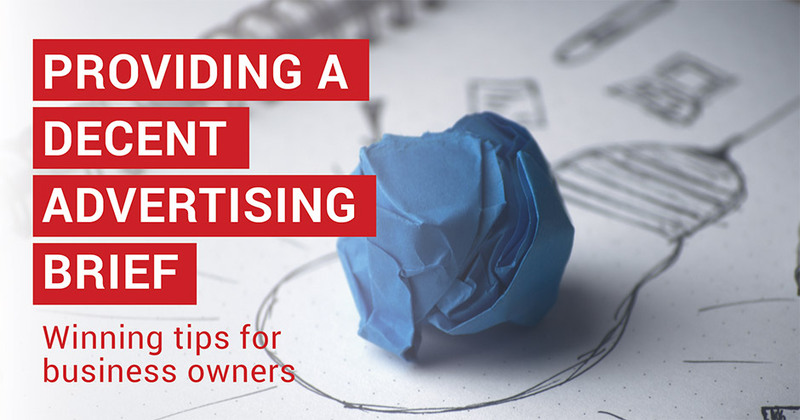 Or, a limited budget could also result in the birth of a simple but highly focused and creative campaign. The Agency needs to know what it has to work with. A complete brief allows the Agency to deliver great work and that’s what you want as a Marketing Manager or business owner. The brief allows you to compare the work presented by Agency against the need and circumstances which then allows you to make objective and relevant decisions. Always remember – it’s about connecting with your audience so you MUST remove yourself from personal preferences. A well-considered brief will keep you on the straight and narrow.